Welcome! > Hair > Should you be washing your hair with beer? Go to the fridge right now and hide one of your guy’s beers, because after you finish this article, you’ll be convinced that washing your hair with beer is the best idea you’ve ever heard. 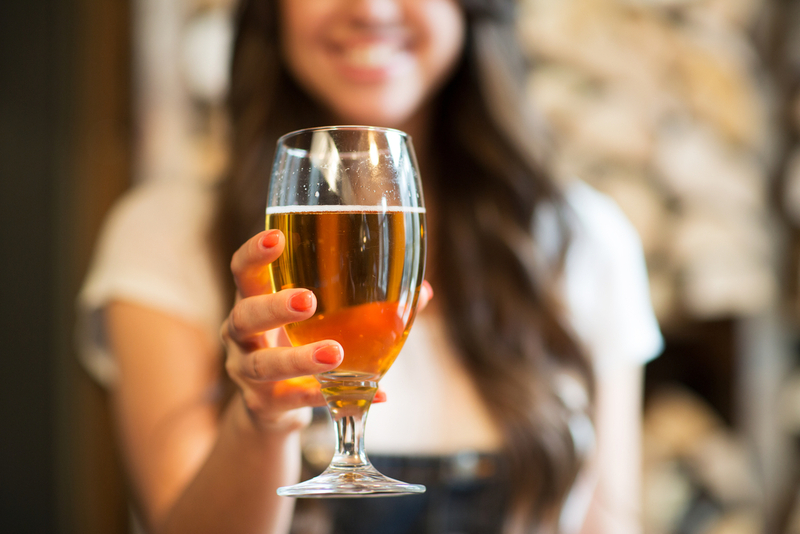 Aside from the calories saved from not drinking the beer, there are lots of really good, almost scientific reasons why you should be using beer to wash your hair instead of sipping it. First, though, a couple of practical tips. It’s probably not a good idea to bring a glass beer bottle into the soapy, slippery environment of your shower. So either experiment with a can of beer, or pour bottled beer into a plastic bottle for use in the shower. For best results, you should use a full-bodied, dark beer. Leave the lite beer in the store cooler and come home with something like Guinness or another stout. Heavy, dark beer will have more of the ingredients that make beer perfect for washing your hair. If you live near a microbrewery, you probably have access to some really rich beer that will do wonders for your hair. What is the Structure of Hair? As you’ve probably heard, your hair is made up of dead cells. But those dead cells are on the outside of the hair shaft. They are called the cuticle. Now, when your hair is healthy, the cuticles lie flat, creating a nice shiny gloss to your strands. When your hair is less than healthy, maybe due to poor care or too much processing, the cuticles become rough and stand up in every which way. This creates a head of hair that looks ragged, dull and dry. Why Should You Be Washing Your Hair With Beer? When your hair’s cuticle layer is smooth and lays flat, your hair will reflect more light. You will end up with shiny, silky hair that feels soft, moisturized and healthy. And isn’t that what you’ve always wanted? Kate Supino writes from South Florida, where she enjoys the sun, the sea and the sky. Hair color and personality type: How are the two connected?